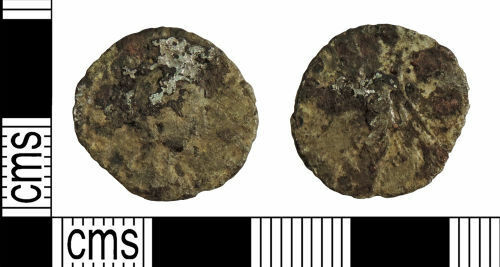 A silver plated copper alloy core of a contemporary copy denarius probably of Julia Domna dating to the period AD 193 - 217 (Reece Period 10). Uncertain reverse type. Mint uncertain. A copper alloy contemporary copy silver plated denarius probably of Julia Domna, PIETAS PVBLICA, uncertain mint, AD 193 - 217.